7 /CS Chip select signal. 9 /WR Write data when WRX is Low. 10 /RD Read strobe signal. Read out data when RDX is Low. 16 LEDA Anode of LED backlight. 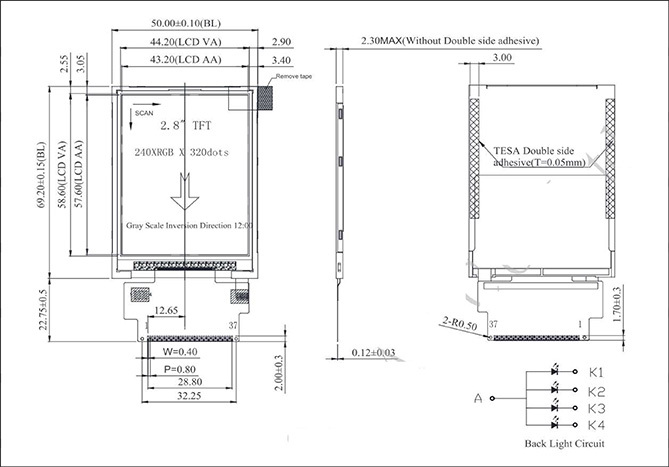 17~20 LEDK1~4 Cathode of LED backlight. 30 DB7 System reset pin.